On Wednesday, the Wisconsin legislature approved a number of bills that will weaken the powers of incoming Democrats, namely Governor-elect Tony Evers and Attorney General-elect Josh Kaul, in an effort to strengthen the GOP-majority legislature. The lame-duck bills were approved by the Wisconsin Assembly Wednesday morning and by the Wisconsin Senate on Tuesday night. 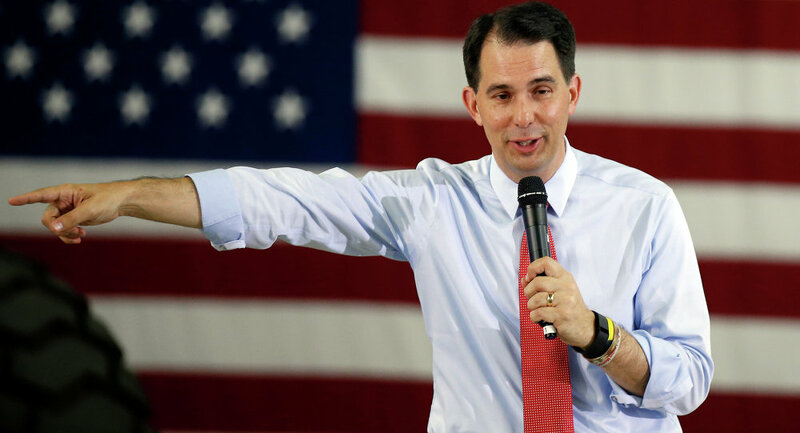 Wisconsin Governor Scott Walker is expected to sign the bills for final approval. ​Matt Brusky, the deputy director of nonprofit organization Citizen Action of Wisconsin, joined Radio Sputnik's Loud & Clear Wednesday to discuss the lame-duck bills which strip incoming Democrats of much of their power. "It's an attempt to overturn the will of the voters of Wisconsin on November 6, who overwhelmingly elected Democrats in statewide elections, and unfortunately, we have a legislature that has been gerrymandered," Brusky told hosts John Kiriakou and Brian Becker, referring to the manipulation of boundaries of an electoral district to establish a political advantage. "These Republicans have been very much about power. They are trying to overturn what happened in statewide elections and essentially strip powers away from the governor, but also the attorney general. Trying to take power through whatever power they have yet. It would seem unconstitutional, but we have courts in this country," Brusky added. According to the Associated Press, the lame-duck bills curb the power of incoming Democrats by limiting early voting to more more than two weeks before an election, transferring the attorney general's power to withdraw the state from lawsuits to the legislature's budget committee and requiring the governor to obtain permission from the legislature before requesting changes in programs run by the state and federal governments, such as withdrawing from multi-state lawsuits to repeal the Federal Affordable Care Act. Gov.-Elect Evers, Attorney General-elect Kaul and Lt. Governor-elect Mandela Barnes commented on the bills at a Wednesday press conference, NBC15 reported. "The whole thing is a mess," Evers said. "And so, my belief is the people of Wisconsin have spoken, and the collective piece of legislation — the collection of bills — is a repudiation of that." "I am very concerned about the 2.6 million people that voted that represented Wisconsin. They didn't have their voices heard because of the actions of the legislature in the last few days," Evers added. "There are clichés we hear about of things being done behind closed doors in the middle of the night," Kaul noted. "In this case, this was literally done behind closed doors in the middle of the night. Wisconsinites deserve better than this." "The [Wisconsin] legislature remains Republican. Why is that?" Kiriakou asked. "There is no doubt [that this is a result of gerrymandering]," Brusky noted. "We are an increasingly polarized society, where people are geographically placing themselves into concentrations of people who are more like them. I see increased polarization in this state. We're seeing Democratic concentrations in cities, and increasingly the suburbs and rural areas [are] largely dominated by Republicans," Brusky added.